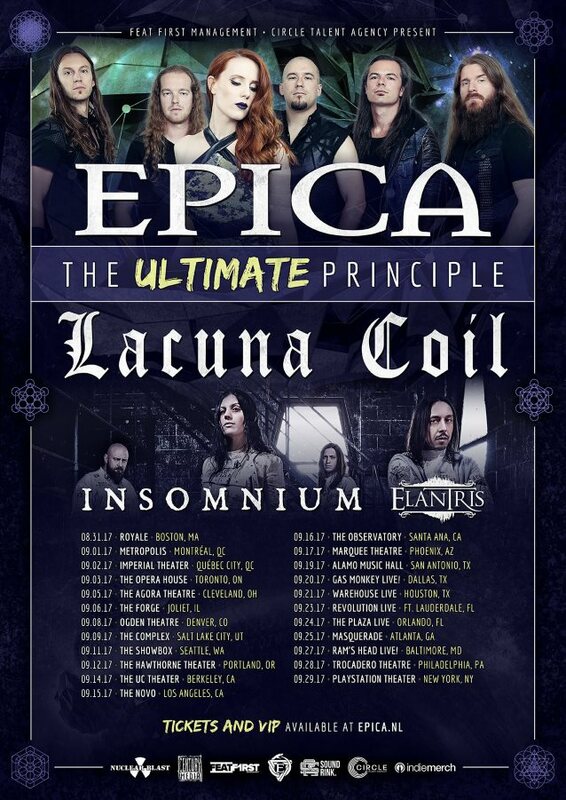 Dutch symphonic metallers EPICA will return to North America this August and September for "The Ultimate Principle Tour" with LACUNA COIL, INSOMNIUM and ELANTRIS. 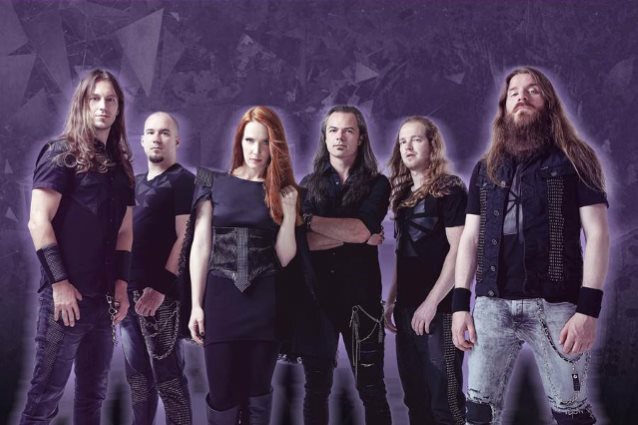 EPICA frontwoman Simone Simons and EPICA guitar player Isaac Delahaye comment: "You asked for more, you'll get more! After all the great reactions we got on our latest album, 'The Holographic Principle', and the amazing North American tour we've done end of last year, we're really stoked to come back to your side of the planet so soon again. Bigger venues, bigger production, we're ready to give you all we've got. Not to mention the absolutely killer bands we're bringing over with us! I'm genuinely looking forward to play for you and to see you all rocking out with us. See you all soon!" "The Holographic Principle" was released on September 30, 2016 via Nuclear Blast. Asked how the heavier-sounding tracks on "The Holographic Principle" have been going over live on the band's current tour, Simone told A Music Blog, Yea! : "Amazing. There are some songs, like 'Beyond The Matrix' and 'Ascension', that just are really made to be live songs. And that's also a little bit how we kind of went about when we were writing the songs and finalizing them together with our producer, Joost [Van Den Broek], that we wanted these songs to become live songs. But then when we're on the stages, songs like 'Ascension' and 'Beyond The Matrix' [and] 'Divide And Conquer' are amazing live songs. The fans also really welcome those and go crazy. Yesterday, we had so many brutal-looking metalheads jumping up and down during 'Beyond The Matrix'. I'm, like, 'That's a pretty gay song, but okay.' [Laughs]"
Simons told Metal-Rules.com about the lyrical themes covered on "The Holographic Principle": "It isn't a concept CD as the story is not in a chronological order of events from beginning to the end. Some songs deviate from the idea. 'The Holographic Principle' is, basically, that we are living in a hologram. With the new technology and virtual reality glasses we realize reality is generated so perfectly that you can no longer tell the difference, so can reality also be a hologram?"